Conveniently situated at the interchange of two railways, City University Student Residence is easily accessible by various forms of public transport. 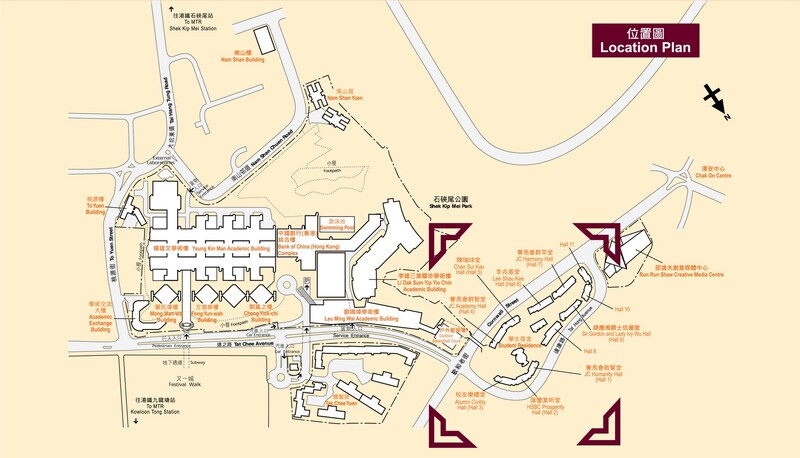 LG1 and find the escalator next to Shop LG1-10, which will take you to one end of the CityU underpass. uphill (8-minute walk) at the end of the road. Ask the taxi driver to take you to Student Residence of City University of Hong Kong, 22 Cornwall Street (intersection of Cornwall Street and Tat Chee Avenue), Kowloon Tong 九龍塘歌和老街22香港城市大學學生宿舍(歌和老街和達之路交 界). When you get out of the taxi, you are in front of the Student Residence Office. If you land in Hong Kong by air, the following means of transportation can take you from Hong Kong International Airport at Chek Lap Kok to CityU. You can ride on the Airport Express Line from the Airport Station to Tsing Yi Station, and then change to MTR from Tsing Yi Station to Kowloon Tong Station. Citybus bus number E22, running from Chek Lap Kok Airport to Lam Tin (North). Get off at Shek Kip Mei Park, Cornwall Street. The Student Residence at Cornwall Street is just beside the bus stop. The website of Citybus provides you with the latest information about bus route and fare: https:// www.citybus.com.hk. 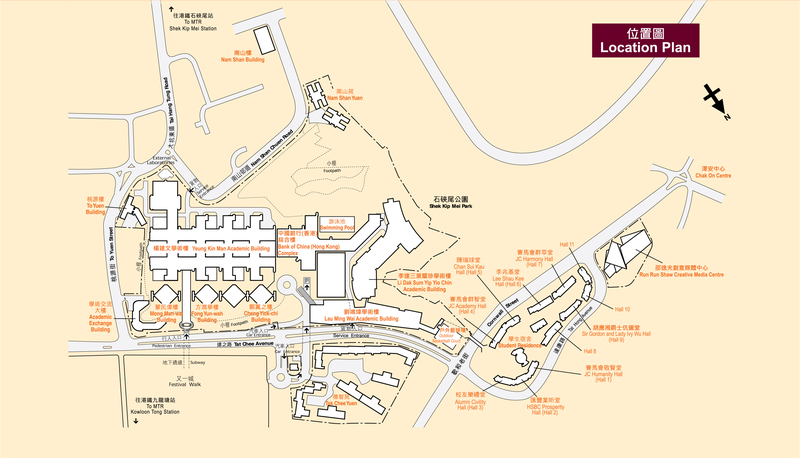 You can take a taxi at the Airport to Student Residence of City University of Hong Kong, 22 Cornwall Street (intersection of Cornwall Street and Tat Chee Avenue), Kowloon Tong 九龍塘歌和老街22號 香港城市大學學生宿舍(歌和老街和達之路交界). Extra cost is charged on each piece of luggage.